You can enable in-place editing for the field in 'Fields' menu. Just check 'Enable in-place editing in Table' on Edit field page. You can enable in-place editing for the whole form, click on 'Advanced options' and then 'Enable in-place editing in Table for all fields' in the same 'Fields' menu. 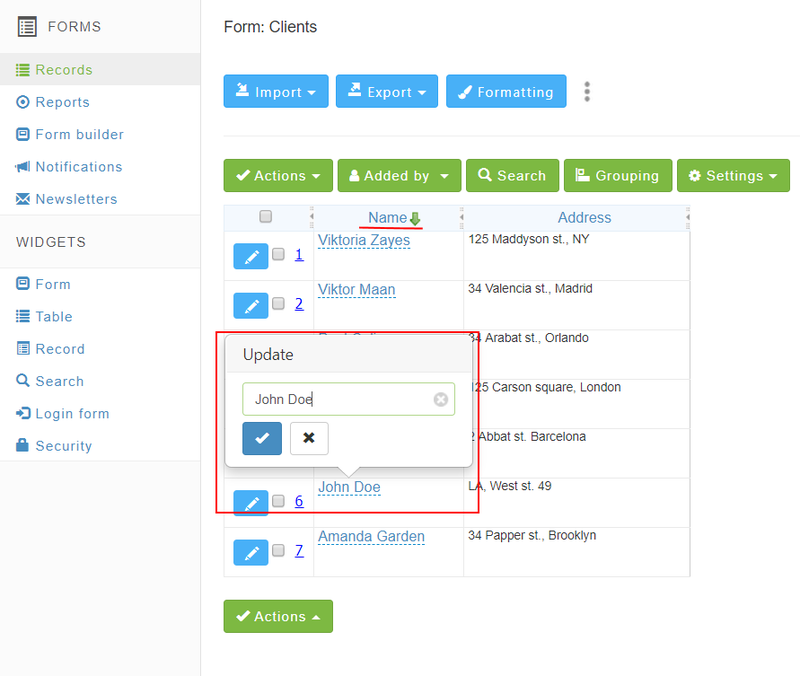 If enabled you'll be able to edit in place no only on Records page, but in the Table or Report widget too. Currently not all fields support, but the basic and most important. Please, notice that if editable field used as an operand in Formula, you'll need to refresh page in order to see updated Formula value. Same true for viewing Total or Average for Number fields.